In a recent post about my visit to the Mitchell Gold + Bob Williams signature store in Portland, I admired a mirror over a sofa as much as the sofa itself. A great mirror is such a statement piece in a room whether above a sofa, over a console in an entry, or a beautiful floor mirror leaning against the wall. 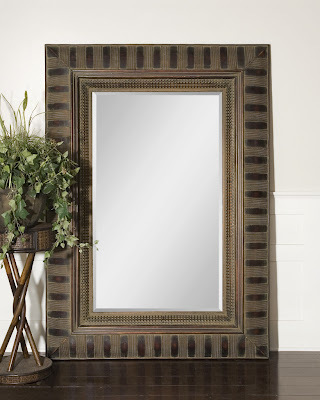 There are some really great mirrors for people to buy no matter how large or small your budget may be. In a recent project, I used the Tanisha mirror by Uttermost for a client's entry. It looks beautiful and the finish is even more beautiful in person than in the picture. Uttermost has a nice selection of mirrors to choose from- truly something for every one's taste. 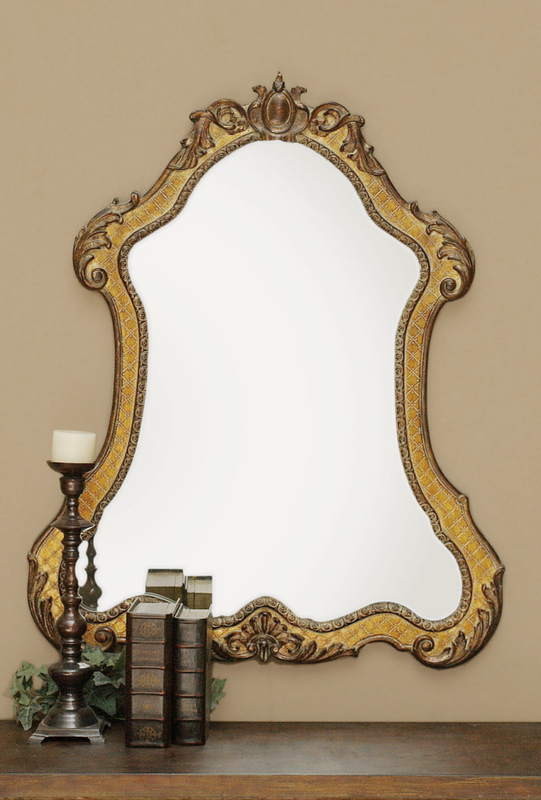 One of the more traditional and very curvy mirrors that I like is the Cleopatra U mirror. I love the antiquing and green glaze. 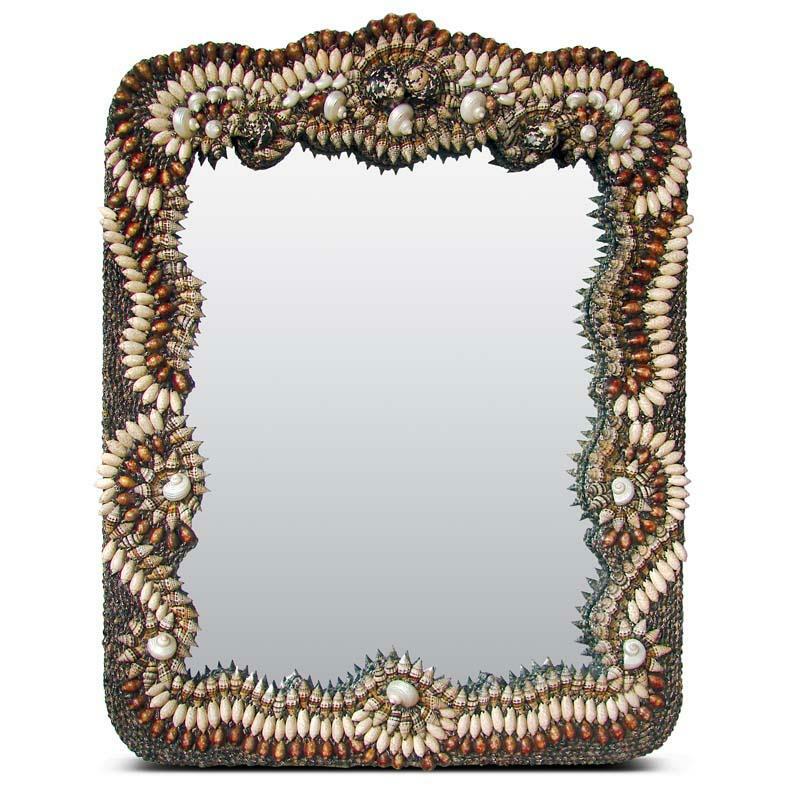 This Uttermost Montone floor mirror caught my eye while looking through their website. It has a nice, substantial frame with some interesting detailing. 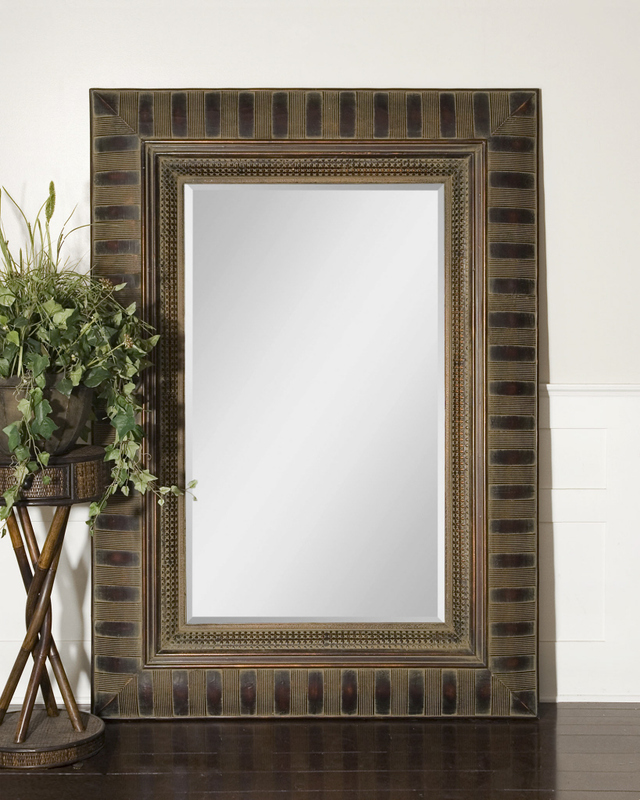 This is a mirror that would work well with many different furniture styles. I could see it with classic furniture, globally inspired decor, and even contemporary furnishings. 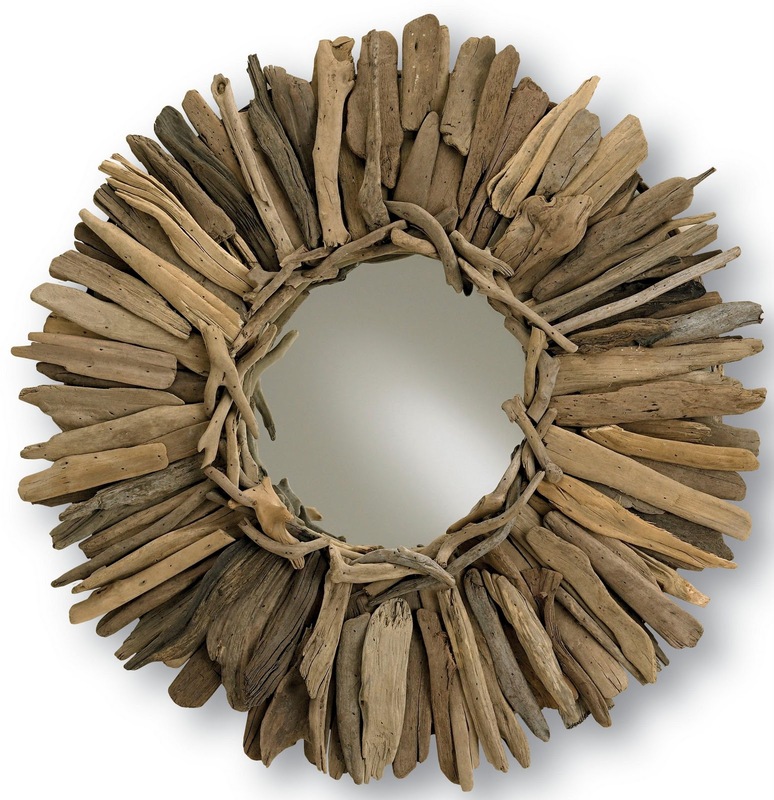 If you are looking for a coastal look or just want to add natural materials and texture to your room, Currey & Company's Windward mirror would be a good choice. Currey & Co. also makes a rectangular version called the Beachhead that would be beautiful as a vanity mirror in a coastal inspired bathroom. 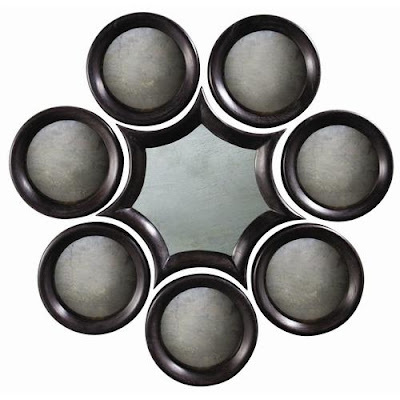 Arteriors makes a fabulous Landon convex mirror set I would love to own. It is so stylish and interesting the way the pieces fit together. 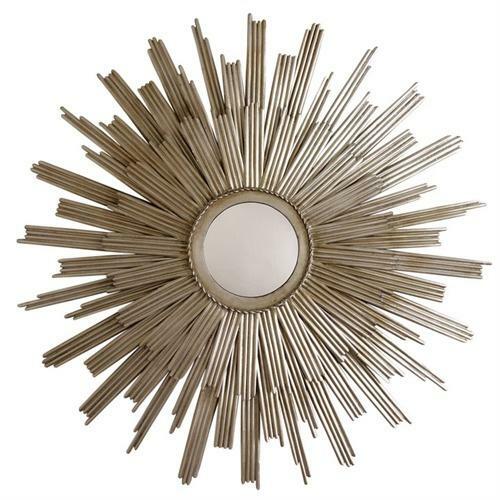 Starburst mirrors have become a classic and so many manufacturers make a version or two. I adore the Arteriors' retro Galaxy Star mirror which is such a beauty and would lighten and brighten any space. For a pine mirror that is anything but plain, take a look at this BoBo Pine Mirror. 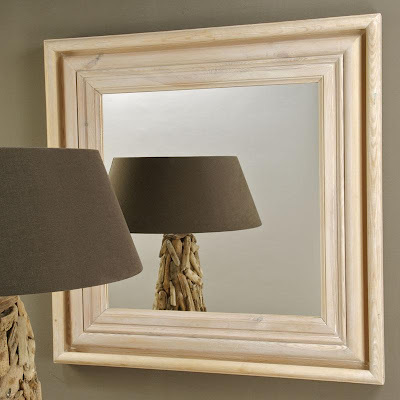 This unfinished mirror comes in a square version as shown below or as a larger floor mirror. For those who are not feeling the economic pinch, I must suggest the Venus Mirror by Made Goods. 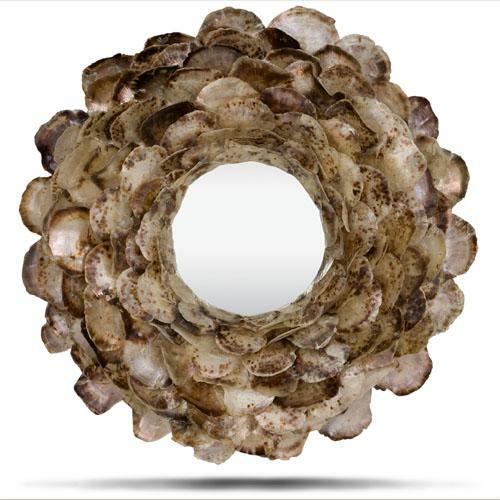 This beautiful flower mirror with shell petals is a total statement piece done in a very feminine and organic way. Also by Made Goods, this Grotta Mirror is baroque inspired sea shells put together in some faboulously ornate patterns. So over the top, but then again if money were no object I would want one just because I appreciate the craftsmanship that went into making this beauty. There is so much out there to love and these are only a few of many. Whose mirrors do you love and want in your home? The Cleopatra & Galaxy mirrors are my favorite. They are all so cool! Christmas Decorating- Start Planning Now!